Looking for immediate answers to how well your product is performing out in the field? Form alerts are set up through the Create Alert button option at the end of every Repsly Form template. 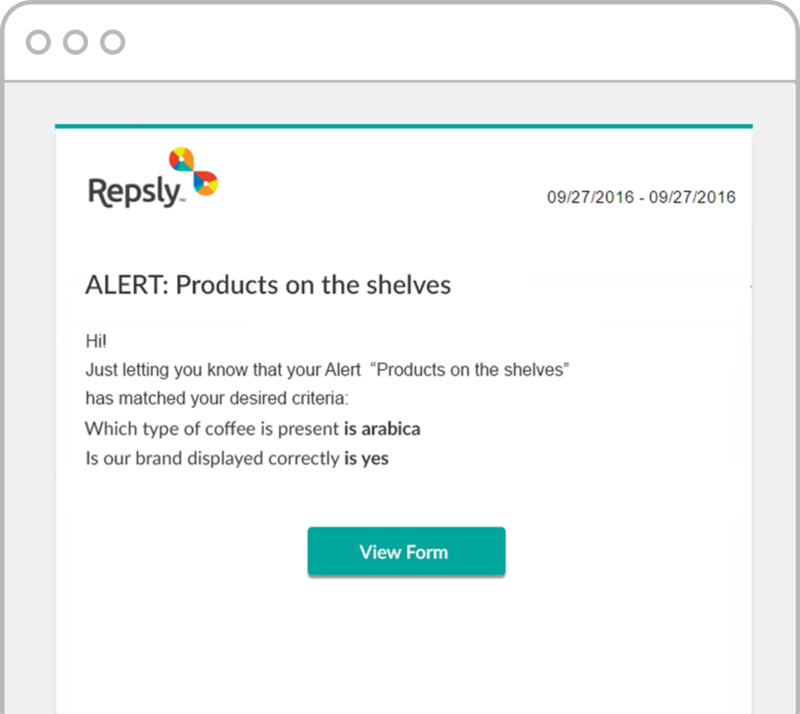 In creating an alert, a back office user must specify the email’s subject and identify recipients. 2. Choose what form you want to add an alert to. 3. Scroll to the bottom of the page and find the create alert button. Once you press that button, you will need to fill out the required information and then press save to create the new alert. You can create form alerts with Yes/No, dropdown Selection, Numeric and Date question types. When the form input matches the desired criteria, an alert is triggered and sent to the assigned e-mail recipients with a direct link to a form in question.